So, let’s get started. What’s the most important part of any respected Thanksgiving feast? Food. But family, thankfulness, and football are follow closely behind. There are many important elements within Thanksgiving food traditions. Every family is different, so we’ll try to spread the love like butter on one of Grandma’s famous hot rolls. Can you smell what THE ROCK is cookin’? Well all your guest will be able to with this bakeware piece from Starfrit! 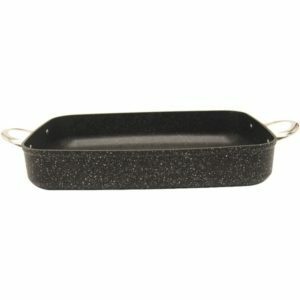 It’s outstandingly durable while providing you the flexibility to make a variety of dishes in it. You may even find yourself utilizing it well after the guests leave as an everyday dish. What’s better than one slow cooker? Two slow cookers. What’s better than two slow cookers? Bella’s triple slow cooker, which features individual temperature controls and serving spoons rests so those picky eaters don’t have to worry about their food touching. Best of all these stoneware pots are dishwasher safe! So when you’re fighting off the tryptophan, cleanup will be easier than splitting a wishbone. 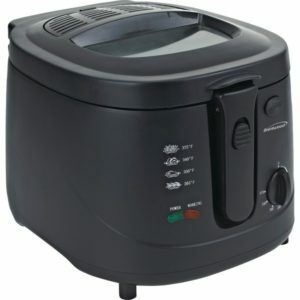 For those of us who aren’t masters of the kitchen or craftsmen of the slow cooker, there’s still one technique that hides all culinary incompetence. The deep fryer! There are few better than Brentwood’s 2.5L Deep Fryer. Perfect for countertop frying of all sorts of food items! 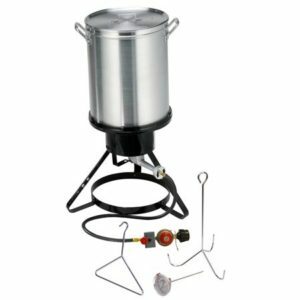 This turkey fryer can handle up to twenty pounds of delicious, juicy turkey with its aluminum pot. It comes equipped with auto shut-off timer and a wide-handled lifting hook to allow for ease of use. You’ll be the talk of the family with this magnificent turkey tool in your arsenal for only $18.49 due today. Can’t make Thanksgiving dinner with the family? Be sure to phone home to tell the ones your love how thankful you are of them. The new Pixel 2 is the perfect phone to chat and take pictures, and if the turkey fryer ends up in flames, use it to find the closest Chinese restaurant to you! These are just a few of the many items you can find on Zebit to help enhance your turkey day and provide you with a variety of new gadgets to use in your kitchen after the family leaves. Shop our Thanksgiving essentials collection to find what else you may be missing and keep a look out for Black Friday deals on Zebit!